16 FT. EQUINOX FIBERGLASS CANOE. 38 INCH BEAM. OVERALL GOOD CONDITION. DOES HAVE A SMALL PATCH. DOES NOT LEAK. COMES WITH 2 PADDLES. SELLING BECAUSE I HAVE TOO MANY THINGS THAT FLOAT. 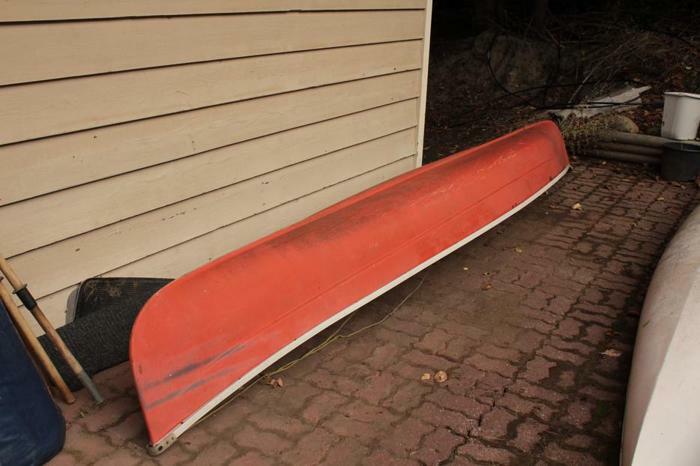 Older Fiberglass Square Stern Canoe. Very Stable, Sits 4 safely. Comes with Electric motor and paddles.